We use our eyes to see everything; from the world around us to the books we read, to the television and movies that we watch to relax and to have some fun. We depend on them to see so that we can drive, work, and do everything else that we need to do on a daily basis. Without our eyesight, everything gets much more difficult, and there are certain things that we won’t be able to do. Plus, without eyesight, it’s just not possible to enjoy the beauty and vibrancy of the world. 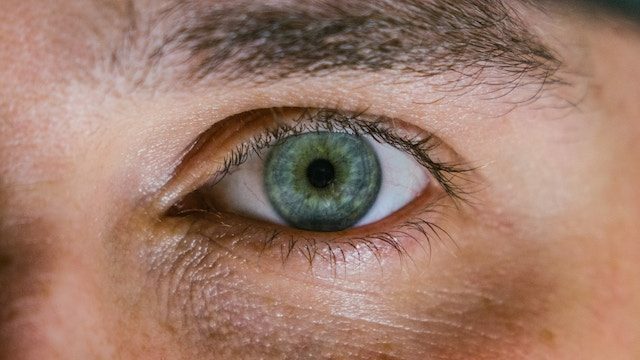 We also use our eyes to communicate in many ways, such as when you look someone directly in the eye to show that you are confident and attentive. Your eyes are also considered to be the window to your soul and are unique. That is why it is so important to take good care of your eyesight. You can do this by getting routine checkups to make sure that your vision and health of your eyes are in good shape. When you visit your eye doctor, they will use an ophthalmoscope to look at the very back of your eye also known as the fundus. This is a test that is very routine, so you will probably have it done when you go for your checkup. You may also get the test done if you have damage to your optic nerve or if it is suspected that you have glaucoma. If you have excessive pressure in your eye, it could mean that you have glaucoma. This test is also known as the retinal exam. At your eye exam, your optometrist will also check the eye muscle movement of your eyes and will do the cover test that will decipher how well your eyes work together to name just a couple of the tests. There are also other ways to take good care of your eyes. If you wear contacts, you should always take them out at the end of the day and never sleep with them in. You shouldn’t wear them for more than 19 hours, because wearing them for too long can actually cause permanent damage. If you wear makeup, you should remove it before bedtime so that you avoid having it cause irritation to your eyes. Use allergen-reducing eye drops during allergy season only when you really need it and always wear sunglasses with UV protection. It’s important always to get enough sleep as well. Even if you take really good care of your eyes, you still may develop an issue. You are much less likely to, but it can still happen. There are many different problems that can affect your eyes, such as eyestrain, red eyes, night blindness, and dry eye. Some people may even suffer from a more permanent problem such as cataracts, where you will need to get surgery to remove the cloudiness that develops over the eye, or glaucoma that can damage the optic nerve of the eye. If you are heading off to go to your eye exam, it is always a good idea to write down any questions that you may have. If you already wear contacts or glasses, be sure to bring them as well. You should also mention any issues that you may have. Many people do not tell their doctor about certain things because they don’t think that they are important to mention, but do it anyway because it could indicate that there is an underlying issue that needs to be checked out. If you are seeing your eye doctor for the first, time you will need to fill out some paperwork about your family history and medical conditions that are common in your family. You will also need to mention anyone who wears glasses since it can be hereditary.When you go to your eye doctor, they will be able to check out the health of your eyes and will also be able to detect any problems. One of the reasons why it is important to get your eyes checked regularly is because you will be able to detect any issues early on, and before they have the chance to progress causing more permanent damage. If you catch an issue early on, it is much easier to take care of it.